We hope all of you are aware of the Safe Mode option in Windows Operating System, where we get into this mode, to remove unwanted Software’s or processes. Now, what about the Android Operating System, does this too have any Safe Mode option. We know many of you are confused with their answers as they never thought about this. Don’t worry, Today we are here to Share and Discuss, all about the Android Safe Mode. Off course Yes, The Android Operating System for mobiles comes with Safe Mode option. 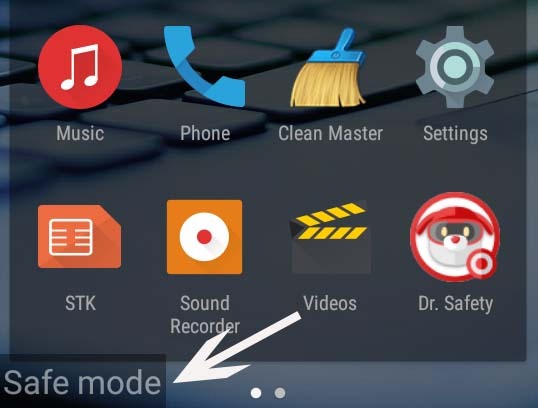 Now, many will be wondering about, what to do with this Safe Mode in Android System. Can we ask, what you do with the Safe Mode option in your Windows Device. Yes, you are right, this safe mode is to trouble shoot any system problem, or to remove anything which you are unable to remove in the Normal Mode. Although, the definition for the Safe Mode is very lengthy. In simple words, Safe Mode refers to the System’s Diagnostic Mode, where we can troubleshoot or remove any app / process, which the Normal Mode isn’t capable for. For better understanding, Suppose you device is infected with any malware or add-ware, and these infected files are ruling the system as they are active there. Now, when you try to remove them, they will never allow you to complete this action. Have you ever tried to delete any opened file in the Windows Operating System, If not, just try it and confirm if you get the message saying “Unable to delete as the file is in use”. Same logic, as the infected files are open, we can’t delete or remove them. Every time you boot your system, these infected items get activated, and start ruling our system. Don’t worry, the Safe Mode is just and Just for these type of problems. We hope, now you have fully understood this Android Safe Mode theory. Many of the people you will be surprised to know, If Android System sense any irregularity in the system, or anything misbehaving, it automatically reboot the phone into the Safe Mode. Once you are there in the Safe Mode, you can easily remove any third party application, that’s misbehaving with the system. 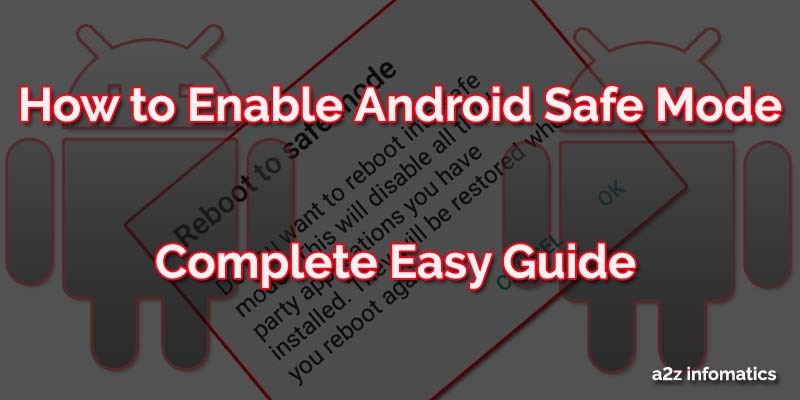 How to Manually Activate / Deactivate Android Safe Mode in Phones. How to Manually Activate Safe Mode / Turn Safe Mode ON. 1)- Hold the POWER button of your phone for few seconds. (as you do for the “Power Off” or “Reboot”. 2)- Here you will see the “Power Off” option. Basically, we tap to this to get our phone switched off. 3)- You don’t have to Tap “Power Off“, Hold it for the few seconds. (as done with the power button in step 1). 4)- Oh, you got the “Safe Mode” option. Now Tap to it, to get into the Android Safe Mode. Important: To confirm if your are actually in the Android Safe Mode, look at the bottom~left of the phone’s screen. Do you see “Safe Mode” written there. If yes, you are in the Safe Mode. If not, repeat all the steps again to get there 🙂 . How to Remove Safe Mode / Turn Safe Mode Off. Actually this is the easiest question on this planet 🙂 . To get out from the Android Safe Mode, just reboot it as you always does. Below are the steps for the same 🙂 . 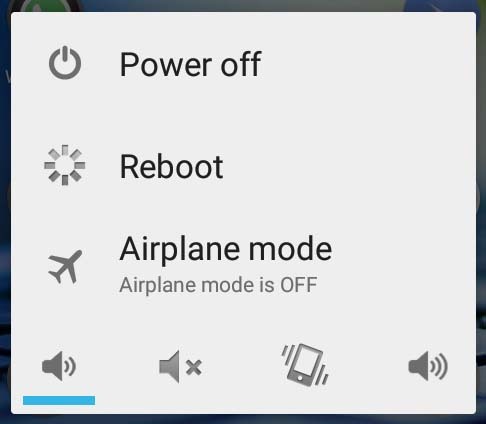 Hold the Power button of the phone for few seconds, here you will see a POPUP, Look for the option REBOOT, Tap to it and you are OUT from Android Safe Mode. Don’t you thing, it’s simple. 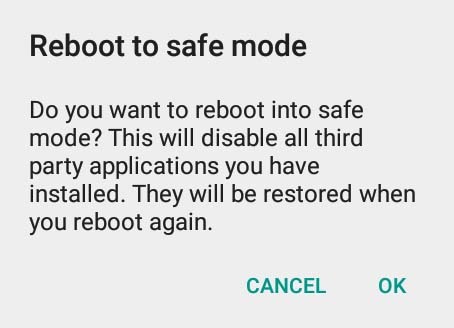 What is Android Safe Mode All About ?. Actually, when the system boots into the Safe Mode, it assumes that the all 3rd party applications are the culprits, hence don’t load any of them. This rule never apply to the pre installed default applications in the phone as they are defined already to the system, as the trusted ones. Don’t panic if your selected theme has been deactivated in the Safe Mode, it will only show you the default system theme. All other basic things will work normally, as it works in the Normal Mode. How to Troubleshoot System Problems under Android Safe Mode. As discussed in all the above lines, infected problem files always rules the system and don’t allow anybody to remove them. They get active each time the system boots in the normal mode. To rectify this, Safe Mode has been designed, where no applications are allowed to load themselves, except the pre-loaded or default ones. Once the infected process or file become inactive, we can easily remove / delete any of them. Prior to troubleshoot any problem under the Safe Mode, make a list of the apps that may be the reason for the problem. Once you figure out all the accuse apps, Switch the system to the Safe Mode and delete / remove them one by one. To confirm the results, Switch the system back to the Normal Mode and check if the problem exists. In most of the cases, using the above guidelines, you will be able to resolve all the issues at your first attempts itself. Today you have leaned about Troubleshooting any of the issue in Android Phone using this Android Safe Mode option. This actually is the only solution for these type of problems, which can’t be resolved in the Normal Mode. We hope, this information will prove to be a turning point if you are in the process to resolve any of the issue in your Android Smartphone. You may also use this Android Safe Mode option to save battery life of your phone, as in the Safe Mode, it only runs selected applications. That’s all we have related to Activating Android Safe Mode in phones, we will be back with many more Android life saving Tips and Tweaks. We also expect your reactions related to this theory under the comments section below. You may ask anything related to this, we are always here to help you all the time. Bye bye for now, Enjoy Troubleshooting the Android Smartphone Problems. God Bless Everybody.